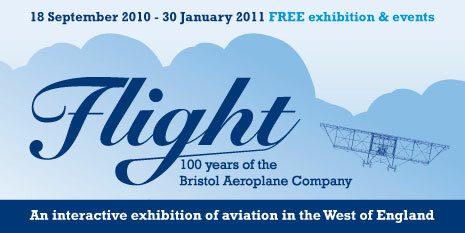 Throughout 2010, BAC 100 celebrated the achievements of the aviation industry in the West of England, past, present and future. The BAC 100 programme has now finished. It included exhibitions, a service of celebration, a mass-kite flight, talks and debates, a procession of 'Bristol' vehicles, competitions and new publications. You can find out about the activities that took place in the News and Press section. BAC 100 takes its name from the Bristol Aeroplane Company, which was founded on 19 February 1910 by transport entrepreneur Sir George White. The company's legacy was passed on to Bristol Siddeley, the British Aircraft Corporation, British Aerospace, Rolls-Royce, BAE Systems, Airbus and many other companies, some of which are still active in aviation today and continuing to develop innovative technology. You can find out about some of the key events that have taken place since 1910 in The BAC Story section. Hundreds of thousands of people have worked in aerospace in the city-region over the last hundred years, and the industry continues to be a major employer in the West of England. You can hear some of their stories in the People section. Lots of activities for children took place during the year, including creative workshops in schools, engineering challenges and aviation-themed competitions. You can see a showcase of children's work in the Learning Zone along with fact sheets, puzzles, interactive games and information for teachers. The story of aviation in the West of England is a huge one that covers a wide range of topics from the vision and bravery of the pioneers, the engineering breakthroughs, the transferable technology, the worldwide connections made through flight, the role of aircraft in times of war and the future challenges facing the industry. Some of these – and more – are covered in the collection of Articles. There are lots of books to read, websites to visit and places to go to where you can find out even more about the BAC and its associated companies. You can get details of some of them in the Resources section as well as watch some wonderful film clips, some rare and newly digitised. BAC 100 is a partnership project. Details of funders, sponsors and other supporters are on the Acknowledgements page. 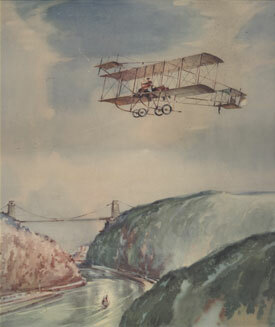 Bristol Boxkite (Bristol Aero Collection). The final update of the BAC 100 website was made on 11 January 2011. We are unable to make any further changes as the project has now ended but the website will remain accessible for the foreseeable future. Visit the What's On page to see a specially compiled montage of Wallace and Gromit clips featuring different forms of flying. Many thanks to Aardman Animations Ltd for creating this for the project. On the Film Clips page you can watch aerial footage of Filton taken in 1918, observe the workings of an aviation factory in World War Two, share the excitement of the maiden flight of Brabazon and the poignancy of Concorde 216's return, learn how to assemble a gudgeon pin and much more. This film project has been enabled by South West Screen and the UK Film Council's Digital Film Archive Fund supported by the National Lottery.